Wake up early to experience a Sonoran Desert sunrise, and transform it into a story by seeing it from a birds-eye view. 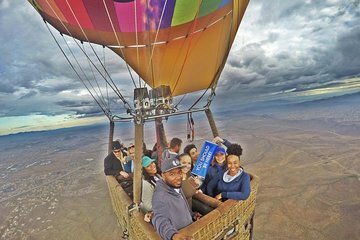 This hot air balloon ride from Phoenix takes you into the air with a professional guide who will narrate your trip. You’ll learn about the wildlife and history of this unique desert, then celebrate with Champagne and breakfast hors d’oeuvres.